A new bogie monitoring system helps increase railway reliability and safety and at the same time lowers life cycle costs. Railways, especially those operating mainline passenger and high-speed services, need to be run safely, reliably and efficiently. 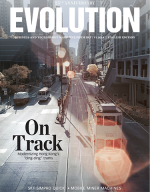 At the same time, railway operators seek competitive, cost-effective solutions. SKF has worked closely with the railway industry operators and suppliers to provide bearing solutions that resolve the often contradictory requirements of safety and cost-effectiveness. The most recent result of such collaboration is the highly sophisticated mechatronics of the SKF-developed BoMo, bogie monitoring system. This is a unit that uses compact, integral sensors to capture vital operating data from the axlebox bearings – the heart of the dynamic system. This allows state-of-the-art signal analysis and monitoring techniques to be applied to extract critical safety indicators and to record operating parameters of a train’s bogies. The output is fully compatible with train data bus systems, ensuring transmission of data for maintenance optimisation and warning signals. 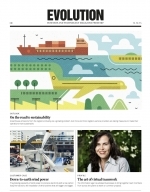 It is a major step forward in achieving the goals of better reliability and safety and lower life cycle costs. Today, railway operators and vehicle suppliers – as well as railway customers – are demanding greater reliability and safety, especially on mainline passenger and high-speed trains. At the same time, they want low life cycle costs so they can run competitive transport operations. The highly sophisticated mechatronics of the SKF-developed BoMo bogie monitoring system helps the railway industry meet these apparently contradictory requirements. Compact, integral sensors capture vital operating data from the axlebox bearings – the heart of the dynamic system. 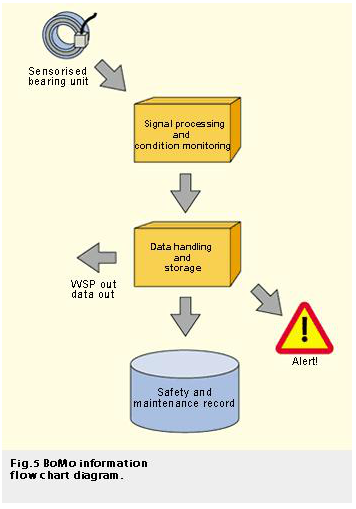 State-of-the-art signal analysis and monitoring techniques are then applied to extract critical safety indicators and record operating parameters. The output is fully compatible with train data bus systems, ensuring transmission of data for maintenance optimisation and warning signals. Bearings, as safety critical items, are one of the most important components of a rail vehicle. The running conditions are often arduous, and bearings must operate with maximum reliability for many years without servicing. In response to the enhanced customer requirements and increased demands on reliability and safety, SKF has developed new bearing unit solutions, which are pre-lubricated, sealed and ready-to-mount components. These units are “TBUs” taper roller bearing units. A natural extension of this concept is to add functions to the bearing (and in turn the bogie), which treat the surrounding parts as an integral system. Such a function is provided by sensors integrated with the bearing units, thus providing operators with the ability to measure operating parameters of the bogie system. High-speed trains are becoming more and more important in long distance passenger service in Europe, North America and Asia to compete with air traffic. SKF plays a key role in these most challenging applications and delivers bearing units for most of these new train generations. 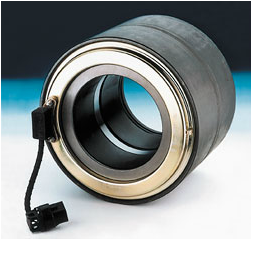 To match this tough environment, SKF offers highly sophisticated sensorised bearing units. Many tens of thousands of bearing units have already entered service equipped with different kinds of integral sensors. The Pendolino high-speed tilting train family, operating in Italy, Portugal, Slovenia and Switzerland, and the Italian ETR 500 high-speed trains, as well as several Italian and Polish locomotives and several mass transit vehicles use these units. In each application the sensor interface is tailored to the customer’s demands. The sensorisation does not involve sensitive moving parts, and no critical tolerance needs to be maintained. SKF initially developed the sensorised bearing unit as a ready-to-mount unit with an integrated speed sensor, and this concept has been used in regular passenger railway service since 1991. Since then, sensorised bearing units based on this principle have been further developed. Temperature sensing has been incorporated and these units are becoming an increasingly standard component in modern railway vehicles. 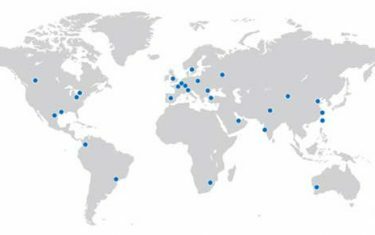 SKF axlebox sensors are approved by UIC (Union Internationale des Chemins de Fer). Today’s sensor design has been further extended to provide vibration-monitoring capabilities. This feature greatly enhances the value of the measurements taken, especially since the BoMo bogie monitoring system incorporates powerful electronic processing that enables continuous on-board condition monitoring and diagnosis to be performed. A full mechatronic system has thus been created, from the axlebox bearing right through to the train supervision and control systems. The sensors are situated in a small printed electronic circuit board that is packaged compactly and protected by an alloy metal housing bolted on to the metal part of the sealing system of the bearing unit. A cable carries the signals from the sensor housing to an adapter placed on the axlebox cover. From this adapter a robust and well-protected cable is used for further external transmission of the signals to feed the electronic unit located in the vehicle. This in turn communicates digitally with the vehicle bus and through this route to the electronic central unit of the train. active full bridge magneto resistor based on voltage transition with a square digital transition waveform. By optionally incorporating an electrical circuit based on a double passive magneto resistor or a double full bridge magneto resistor, the sense of rotation also can be detected. Speed measurement is needed to serve several purposes. Wheel slip protection (WSP) devices use it for input in controlling the traction and braking systems in order to maximise vehicle performance and limit wheel and track wear. For automatic train control (ATC) systems, the SKF sensor supplies speed and direction of rotation detection. The ATC receives signals by radio from the line between the two rails to determine the maximum permitted speed value for each track segment, continuously regulating and limiting the train speed. The sensor for the ATC system satisfies the severe requirements demanded by railway authorities to detect the position, speed and direction of the railway vehicle in these systems. Tachograph systems use the speed sensor for input to devices recording vehicle speed and distance run. In a bogie monitoring system with the new SKF sensors, the vibration analysis algorithms, which interpret the bearing and wheel condition, also make use of the speed signal. The bearing temperature measurement is based on a temperature sensor that is accommodated on the same electric circuit board as the speed/direction sensor. This enables direct detection of the bearing temperature. Since the measuring point is in close proximity to the bearing, it provides a detection capability that is superior to the more remote systems commonly applied in trackside detection systems. SKF has now developed a vibration sensor concept to detect axial and vertical accelerations. 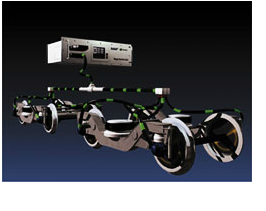 All sensors are housed as before in a compact lightweight sensor housing attached to the bearing sealing system. The vibration signal, suitably processed, provides a “fingerprint” that can be used to characterise the operational development of the bearing condition. This can reveal emerging defects in advance of otherwise relatively severe failures, which could previously only be revealed by temperature measurement. Timely recognition of such conditions supports the management of maintenance operations and helps avoid unscheduled interruptions of service. The monitoring of the vibration goes beyond the bearing itself: wheel condition can also be evaluated on-line for out-of-roundness and tread defects, potentially reducing the need for periodic inspections. Continuous on-board vibration monitoring provides another key safety feature: the ability to immediately detect the major safety hazard of running with a derailed wheel set. 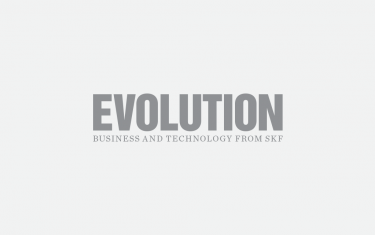 SKF developed the BoMo system together with the Swiss company Sécheron. Sécheron is prominent in such railway electronic traction component supply as data acquisition and storage devices and data processing of safety-relevant information for railway rolling stock. A combination of conditioners, filters and enveloping and adaptive analysis techniques are included in the analysis algorithms. 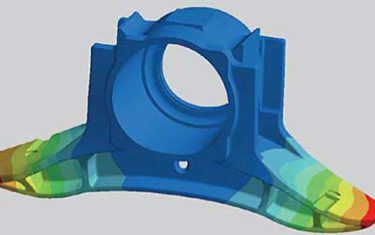 The system runs various analysis algorithms, each dedicated to a particular aspect of the condition and running characteristics of the bearings, wheel set and bogie. This approach to bogie monitoring also enables continuous diagnosis of critical parts during vehicle operation – a major step forward. An important aspect of the system design is the effective management of data. It involves short and long-term storage, plus optional fireproof memory (“black box” recorder). Safety-relevant information is handled according to strictly defined principles. A variety of protocols are available to ensure compatibility of communication and the availability of signals serving other vehicle management functions such as WSP (wheel slip protection system). According to built-in system knowledge as well as customer-defined criteria in the configuration of the bogie monitoring system, status indicators and warning signals are generated depending on the particular operating demands. These are communicated according to their purpose. Serious fault warnings can be routed directly to the train control system, which can alarm the driver. General status indicators and component condition parameters are available on-line to the train diagnostic system and are also stored in a maintenance database. This serves optimised condition-based vehicle maintenance, providing low life cycle costs.